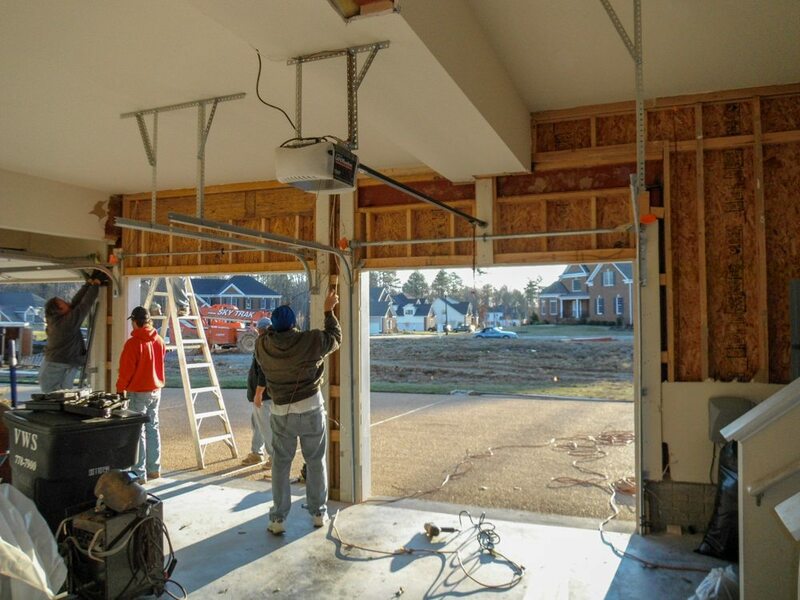 Here are a few photos of an existing garage remodel in Chesterfield Co.
We are removing the center stem wall between two existing 8′ garage doors and creating one large garage door over 17′ in width. New steel header in place and ready for temporary supports to be removed. 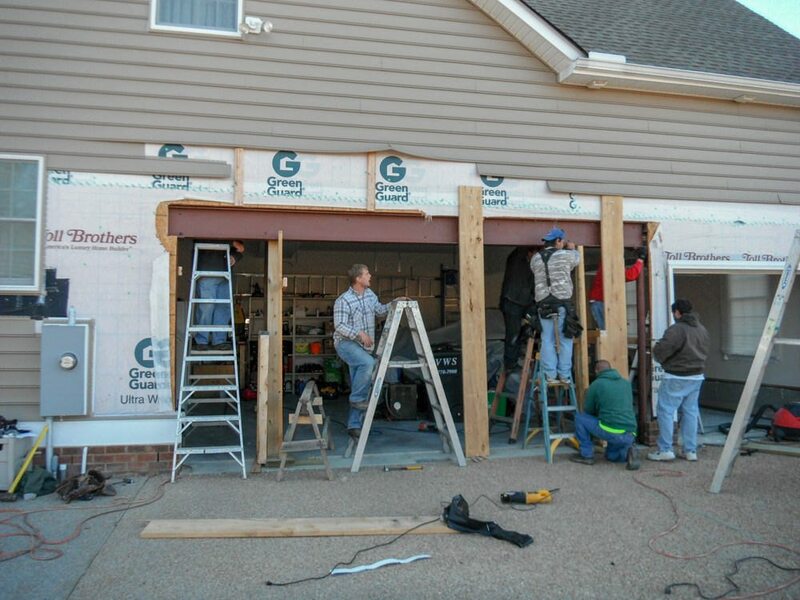 This project entails installing a new steel I beam header to bridge across both openings. 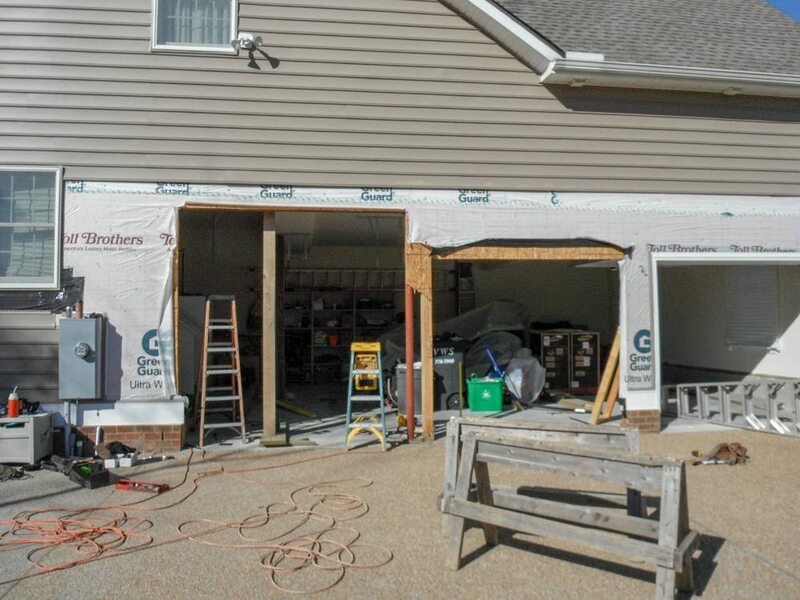 There are steel I beams already holding up the 2nd floor system so we will temporarily support the 2nd floor as we remove and reinstall the new header beam.